In a sleek satin nickel finish and white drum shade, this contemporary wall sconce provides a clean and classy look. Add a fresh and simple design to your home with this contemporary wall sconce. It comes in a satin nickel finish and is topped by a classic white drum shade with top and bottom trim. A diffuser at the bottom softens the lighting for gentler illumination. Perfect for nearly any setting and style of decor. 13 1/2" high x 7" wide. Extends 9" from the wall. Weighs 3.4 lbs. Backplate is 5 3/4" high x 4 1/4" wide. Shade is 6" across the top x 7" across the bottom x 7" high. 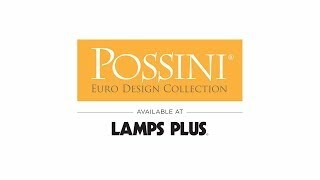 A modern wall light from the Orson collection by Possini Euro Design®. Satin nickel finish. White drum shade with trim details and bottom diffuser. Matches décor and metal finish of my bathroom fixtures. Elegant but modern lines. I was looking for a sconce with a white drum shade. Is the shade paper or linen? BEST ANSWER: This lamp shade is made from a polyester blend material. Can this be used with or without the shade, and what does it look like without the shade? BEST ANSWER: Hi - The shade is removable, but the bulb socket will be exposed. BEST ANSWER: Hi - No, this is a direct wire fixture. Does this fixture include a shade? BEST ANSWER: Yes it did. Is the shade made of glass or fabric? BEST ANSWER: Hi, the shade is male of fabric. Can this light be used in the bathroom? BEST ANSWER: Yes, we remodeled our guest bathroom and we used 3! They r the perfect size and not obtrusive or heavy looking. I bought two of these for my powder room ... and they look stunning! Expect it to be on the bigger side. Yes , just make sure that the exhaust fan is on . The shade may not like the constant humidity. Is this lamp dimable and Led compatible? BEST ANSWER: Hi, the light can be used with a dimmer when paired with dimmable light bulbs (LED). I bought two of these but the shades look different...one is much brighter than the other...its not the bulbs..we switched them on the sconces..how can I get another shade? BEST ANSWER: I am sorry to hear that the shades don't match. Please contact one of our customer service specialists for assistance via phone, email, or chat. They will be happy to help you resolve the shade issue. Does this come in chrome? BEST ANSWER: This item does not come in chrome. We do have a style similar to this in chrome which is #15731. Does the light have an on off switch included on the fixture itself? BEST ANSWER: No, the unit does not have an on/off switch. It gets hardwired to an electrical box with a dedicated walls witch to it. Love the clean contemporary look the give our dinning room. I installed one of these sconces on either side of a reclaimed wooden mirror in my downstairs powder room. The quality is exceptional and the value ia tremendous. The room makes me proud because the lighting ties everything together perfectly. We used these in our powder room and they look fabulous! perfect, do not initially see the grey stripe at top of shade, however illuminates once plugged in! Perfect modern touch to my powder room. A touch of glam, and modern, with a soft drum shade. Just the right amount of lighting.